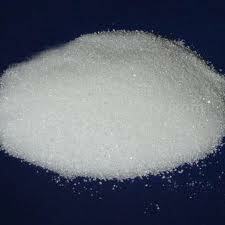 Benzoic acid, the simplest aromatic carboxylic acid containing carboxyl group bonded directly to benzene ring, is a white, crystalline organic compound; melting at 122 C (starting sublime at 100 C); boiling at 249 C; slightly soluble in water, soluble in ethanol, very slightly soluble in benzene and acetone. Its aqua solution is weakly acidic. The most of commercial benzoic acid 99% is produced by the reaction of toluene with oxygen at temperatures around 200 C in the liquid phase and in the presence of cobalt and manganese salts as catalysts. 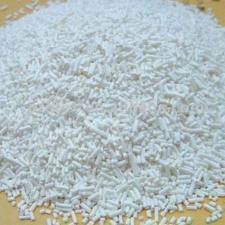 And benzoic acid can be classified as benzoic acid industrial grade, benzoic acid pharmaceutical grade , benzoic acid food grade and so on. More than 90% of commercial benzoic acid Flake is converted directly to phenol and caprolactam. It's used in the production of glycol benzoates for the application of plasticizer in adhesive formulations is increasing. Benzoic aicd is also used in the manufacture of alkyd resins and drilling mud additive for crude oil recovery applications. 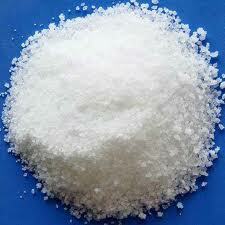 It is used as a rubber polymerization activators and retardants. Benzoic acid is converted to its salts and esters for the use of preservative application in foods, drugs and personal products. Benzoic acid is used for medicine, dye carriers, plasticizers, spices and food preservatives such as the production of alkyd resin coatings are also used to improve the performance. Used as preservatives, anti-microbial agent and so on.